What is the largest hard drive you can attach to a DIRECTV HR44 Genie? 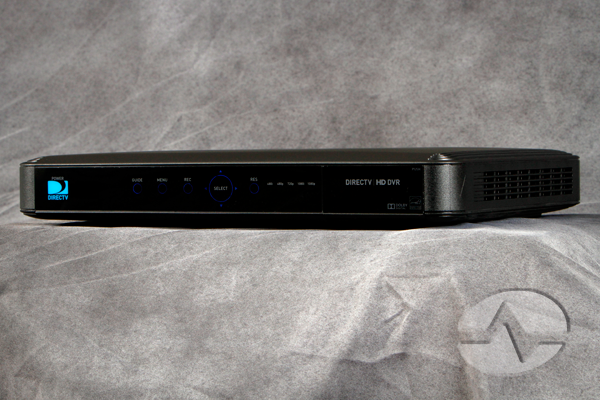 If you’re one of the people who isn’t satisfied with the 200-hour recording capacity of your Genie DVR, you probably know that you can connect an eSATA drive to the DVR and it will use that external drive instead of the internal one. You should plan for this ahead of time, because once you connect the external drive, you’ll lose access to all the recordings on the internal one. But if you’re starting from square one, you probably won’t care about that. So the questions then become: what is the biggest drive you can put on a Genie DVR and how many hours can be stored per gigabyte? To the first question, the answer is really that you can put the biggest drive you want. I’ve personally never known anyone to put more than a 4TB drive on a Genie, but I’m told that the device would support at last 16TB and probably 32TB. Drives that size aren’t made now so you’d have to go to an array and at that point it’s possible that you might be watching a little too much TV. As for the amount of storage you need, it really depends. The compression on every channel is different and so there’s no single number that makes sense 100% of the time. I personally like to quote 4GB per hour of HD. It’s not always accurate but it’s probably good enough to get a rough estimate. That means that you’ll get 250 hours of recording time for every 1TB you add after the first one. The first terabyte will only hold about 200 hours because DIRECTV uses some of the first terabyte of space for its own purposes, pre-downloading on-demand content and custom advertising. So let’s say for a moment that you have a 4TB drive, meaning that you can expect about 1,250 hours of HD programming. To fill that, you’d have to record three hours a day of programming and not delete any of it. To watch 1,250 hours of programming while skipping commercials would take you about 1,000 hours or the equivalent of a full-time job lasting six months. That’s a pretty big commitment and that’s probably more television viewing than you’re going to do unless you’re stuck in the house and have no internet. Ah, but some people just record things “to have them.” Unfortunately these people inevitably end up disappointed because DIRECTV doesn’t let you move the recordings from one receiver to another. Sooner or later your current receiver will either wear out, or get replaced by an upgraded model, or some evil will befall it. At that point all the recordings you did “just to have them” will be unplayable. If you’re seeking a better way to archive, there are very few good options so realistically you’re better off relying on content providers or streaming services to do that. You may feel good about recording that Wonder Woman marathon but if you really want to keep that content, buy physical discs.